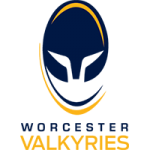 Valkyries fell to a heavy defeat against the league leaders in round 15 of the Tyrrells Premier 15s at Sixways on Saturday. 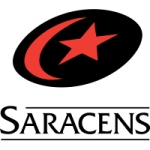 Saracens scored ten tries including a hat-trick from Georgie Lingham (three). May Campbell, Vicky Fleetwood, Kat Evans, Hannah Botterman, Kay Searcy, Nina Vistisen and Zoe Harrison scored the others. The visitors opened the scoring early on as Lingham was on the end of a sweeping passing move to go over in the corner. Moments later and Sarries had another score. This time it came through the strength of their pack as Campbell dotted down from the back of a maul driven over the tryline. Following this Valkyries stood firm and shut Saracens out for most of the half. The speed of the defensive line time and again forced last year’s Premier 15s champions into making handling errors in crucial areas. Despite being resolute in defence, Valkyries were unable to form many attacks deep in the Saracens half. The visitors’ ended the half as they started it with a quickfire double from Fleetwood and Lingham. The second-half started in very much the same fashion as two quick scores continued Saracens’ momentum. Evans bundled over having from short range before Lingham completed her hat trick running into the corner from 60 metres. Around the hour-mark, Saracens hit again as Botterman powered her way over the tryline after phase-play opened up spaces for the visitors. Valkyries’ Vicky Laflin did excellently well defending one-on-one to prevent Lingham from adding her fourth. However, forcing a knock-on, meant Saracens had a five-metre scrum which Searcy used as a platform to grab a score for herself. As the game drew to a close, Valkyries showed no signs of giving up. Players where flying into tackles left, right and centre. They gained momentum from this and applied great pressure to the Saracens backline. Almost camped in the Saracens 22, Roy Davies’ side came within yards of getting on the scoreboard but a stray grubber fell into the hands of the league leaders. Following this chance, the momentum swung back to Saracens who ended the game with three quick tries from Clapp, Vistisen and Harrison. 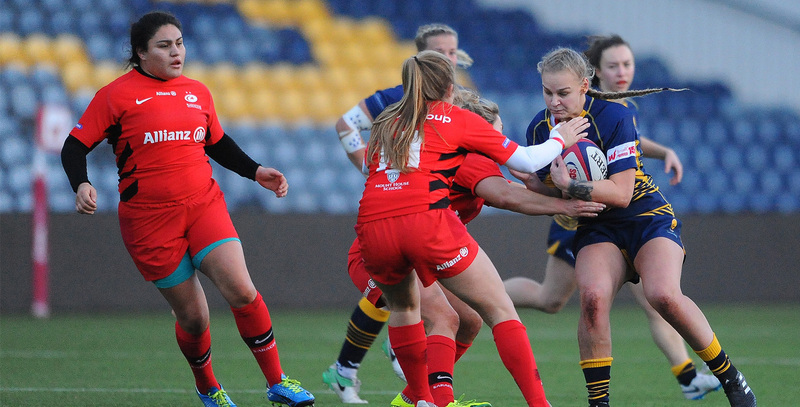 Valkyries Development XV also went down to a heavy defeat – 91-0 – at the hands of Saracens in the Tyrrells Development League at Sixways on Saturday.